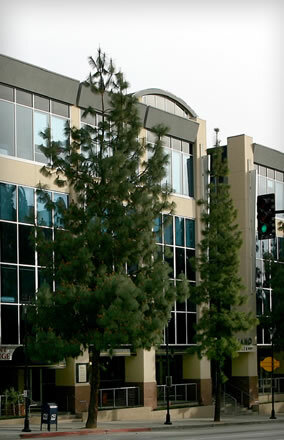 Since 1959, the Cusumano Real Estate Group’s dedication to personal service and meeting the needs of our tenants has enabled us to provide world-class office space for such users as the Walt Disney Company, Chase, Warner Brothers, Universal Music, the State of California, the Government Services Agency (GSA), Amgen, and many others. The company was built upon smart investments started by brothers Chuck and Roger Cusumano, who first demonstrated their serious work ethic and savvy money management when they were schoolboys. Still led by Chuck and Roger, and Chuck’s sons Mike and Charlie, and with 40 experienced associates, the Cusumano Real Estate Group has grown into the most client-focused leasing, property management, development, construction, and brokerage company in Southern California. Our insistence upon integrity and the utmost professional standards demonstrates our devotion to the clients we serve. Full-service property management, commercial expertise, and a consistent focus on tenant needs. That’s what makes us a great place to do business.